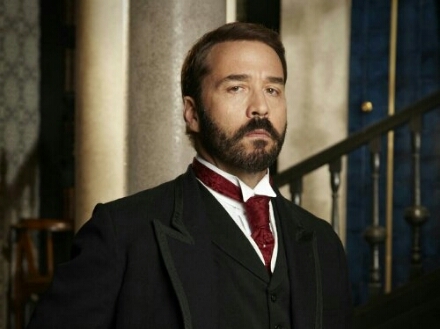 As filming commences on ITV period drama Mr Selfridge, new cast details have been announced which sees Zoë Wanamaker, Kara Tointon, Hannah Tointon and Leon Ockenden joining the third series alongside lead actor Jeremy Piven. The ten-part series from of ITV Studios picks up the story in 1919 just after the end of World War I and is based on the life of charismatic American Selfridge’s entrepreneur, Harry Gordon Selfridge and Lindy Woodhead’s book ‘Shopping Seduction and Mr Selfridge’. The first episode will open with the wedding of Harry’s eldest daughter, Rosalie, who marries Serge (Leon Ockenden – em>Waterloo Road, Casualty) , the handsome son of trouble-making Russian Princess, Princess Marie de Bolotoff played by Zoë Wanamaker (My Family, Harry Potter films). Rosalie Selfridge will be played by Kara Tointon (EastEnders) and Kara’s real-life sister, Hannah Tointon, plays her rebellious sister, Violette, in a move that sees the sisters acting together for the first time. Sacha Parkinson (Coronation Street, The Mill) also joins the cast to play Kitty Hawkins’ ambitious younger sister, along with Kelly Adams (Bluestone 42, Hustle) who plays Harry’s new love interest, Nancy Webb. Kate Brooke (Ice Cream Girls) returns as the lead writer working alongside Kate O’Riordan (The Bad Mother’s Handbook) and Helen Raynor (Doctor Who). The second series attracted an average audience of 6.4m viewers. The third series will be produced by Dominic Barlow (The Mill, The Crash, Garrow’s Law), and executive produced by Kate Lewis (Lightfields, Vera, Marchlands) for ITV Studios alongside Kate Brooke and Kate O’Riordan. The third series of Mr Selfridge begins filming in Greater London this week, with a lavish replica of the 1919 Selfridge’s shop floor being recreated in a former carpet warehouse. The exterior of the store will be filmed in the historic Dockyard Chatham in Kent.